Here you shall come across some of the rarely known burrowing owl facts including burrowing owl diet, habitat, reproduction, and species. 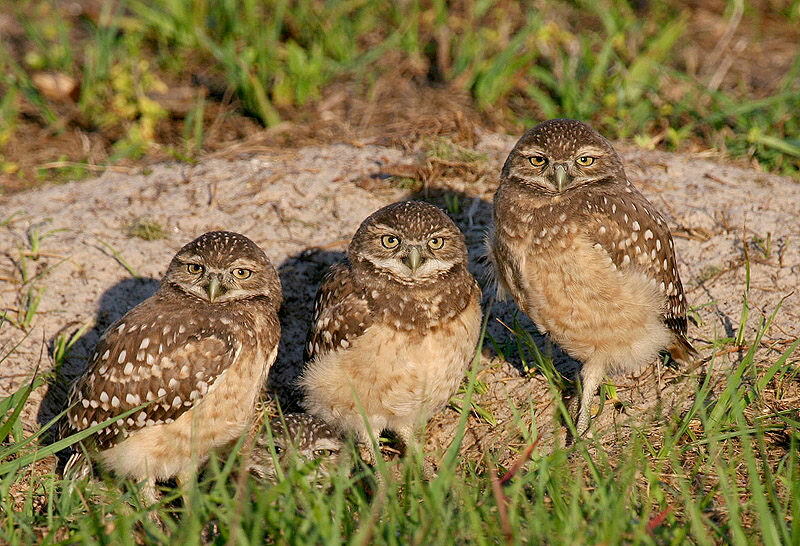 The burrowing owl (Athene cunicularia) is a small owl species found across the landscapes of South and North America. These types of owls belong to the family of Strigidae. Burrowing owls are usually found in deserts, rangelands, grasslands, and wide areas that have less vegetation. These long-legged owls build their nests in burrows that are typically abandoned by prairie dogs. They remain active all throughout the day which is unusual for the typical owls. However, they mainly hunt from dusk to dawn and taking advantage of their night vision. Burrowing is given protection under the Migratory Bird Act in the United States, Mexico and Canada. They are considered to be endangered all throughout Canada. 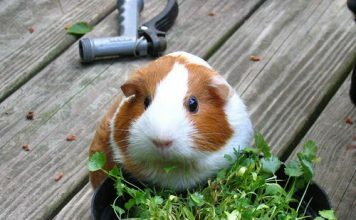 They can grow to a size of 7 –10 inches. Burrowing owls employ a distinctive defense mechanism in that they begin to produce a sound similar to that of rattlesnakes. 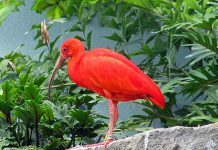 They are recognized by their long legs as well as bright yellow eyes while their beaks display a dark yellow color. These tiny owls show a flattened facial disc but do not have ear tufts. The prominent eyebrows and white chin makes them even more familiar as compared to other species. One of the strange facts about burrowing owls is that they decorate their nest-entrance with manure from cows, horses, and dogs. The owlets begin to produce rattlesnake-like sound when threatened. The juveniles and adults are very much similar except the former lacks considerably white marking on their chest. They have grayish long legs. Females are heavier as compared to males; however, the latter are bit longer in its wingspan and length. The length of the burrowing owls measure around 19 – 28 cm (7.5 – 11 inches), along with the wingspan of 50.8 – 61 cm (20.0 – 24 inches). The weight of these owls is up to 140 – 240 grams (4.9 – 8.5 oz). They are fairly greater than American Robin bird. The lifespan of burrowing owls is 10 years in captivity and 9 years in the wild. 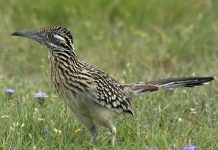 These birds are often fall victim to coyotes, snakes, and badgers. Apart from their natural enemies, burrowing owls are also killed by vehicles while crossing roads. 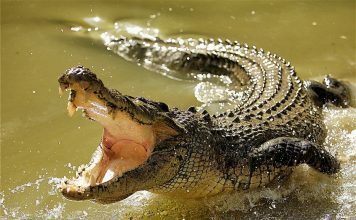 Domestic cats and dogs are other predators of these species. 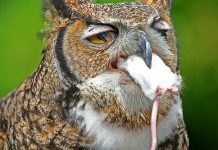 Read More: What Animals Do Owls Eat? Prior to European colonization, burrowing owls perhaps occupied almost every suitable region of the New World; however, the species faced certain restrictions in North America. They are increasing with deforestation across South America. These owls inhabit all along the western Canadian province, western Central America, and Southern Mexico. A good many number of owls are also found across Caribbean islands, Patagonia, Tierra del Fuego, Brazil, and Florida. 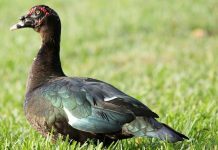 They are also known to reside in agricultural fields, airports, and golf courses as they are fairly tolerant of human presence. 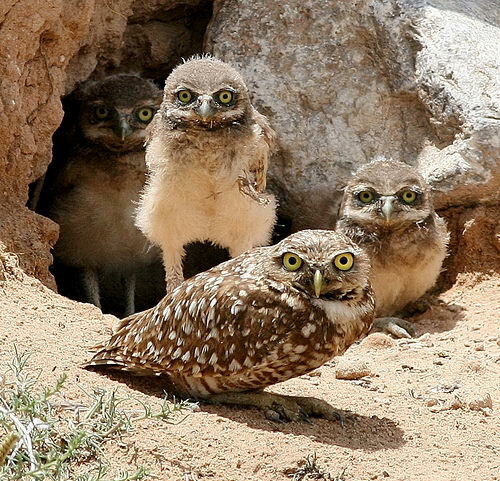 True to its name, burrowing owls make their nests in burrows underground. 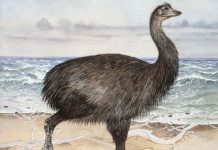 Nevertheless, they will excavate their nests if the soil is not hard enough. They collect a wide range of materials to build their nests most of which are left around their entrance. The most frequent nesting material is dung from cows, horses, and dogs. 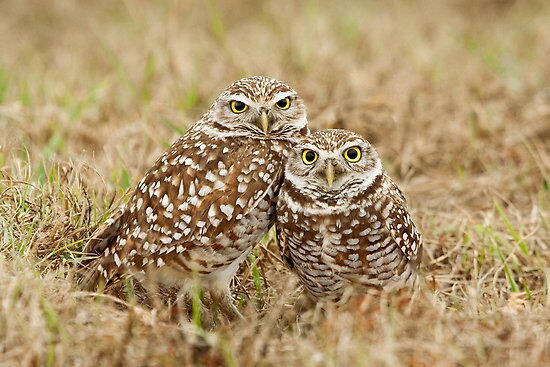 Burrowing owls are sit-and-wait predators and they will not move until the prey is in range. These owls are known to catch insects during flight. However, they are often seen to chase down their prey on foot. 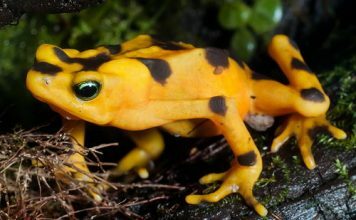 They have a flexible diet that encompasses tiny vertebrates, and invertebrates. Burrowing owls primarily eat insects, tiny rodents, Delicate vesper, amphibians, small lizards, toads, frogs, and Tropical house gecko. These owls are even capable to ingest large prey such as Eared Doves. They are known to prey on crickets, termites, katydids, spiders, wolf spiders, scorpions Bothriuridae, and ground beetles. Burrowing owls also feed on fruits and seeds especially prickly pear and cholla cacti. The burrowing owls nesting season begins in March and April in North America. The females lay 1 – 2 eggs with the clutch size averaging 4 – 12 eggs. The eggs are solely incubated by the female that lasts for 3 – 4 weeks. The chicks begin to fledge out after a period of one month. 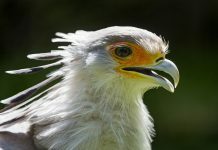 The parents will feed their chicks for 1 – 3 months.